This is the photo of the argentinian people who went to this ESUG edition. 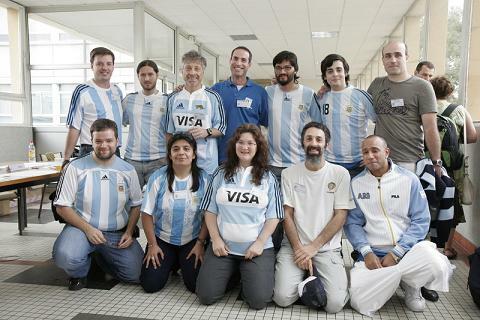 It's funny to see them wearing t-shirts from the argentinian soccer team and the argentinian rugby team, "Los Pumas". Congratulations for the nice idea!